An eight night procession, filled with candles, presents, prayers, and good food that you later regret eating; also known as Hanukah. This tradition dating back hundreds of years is one representing the struggle for survival and the prevalence of hope. Families all over the world celebrate this eight night holiday tradition in remembrance of their ancestors. For most families, they either celebrate Hanukah or Christmas, but not both. I however, am lucky enough to be able to celebrate both. I’ve grown up in a diverse family that has given me the opportunity to experience different types of religions and cultures. Some would say that I am a “bad Jew” for celebrating Christmas, but I don’t agree with that at all. 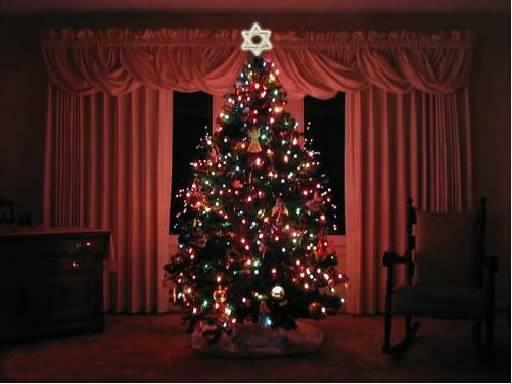 I believe that celebrating Christmas does not make me a bad Jew, but a cultured Jew. Knowing more about different religions and traditions can only be beneficial. If people have a better understanding of others customs there will be more compassion, empathy and understanding in our world.